When it comes down to storytelling, travel brands have a clear edge over organizations in other industries: we sell experiences, memories. And whether people travel for business or leisure, they tend to share these moments on social media, in real-time, via their always-on mobile devices. One of the big trends that has been shaping how travel stories get told is through repurposing of this content, whether it was originally shared on Instagram, Twitter, Facebook, or Pinterest. Destinations, hotels, restaurants, transportation companies, attractions… every stakeholder in the hospitality realm can tap into the potential stemming from photos and videos shared online. But how do you find the good stuff? How can you even know if people are talking about you on their blog or via their social accounts? One word comes in handy: hashtag! There are obviously many elements to consider when implementing an effective online campaign, across platforms such as your own website, blogs, newsletters, social media and even offline. 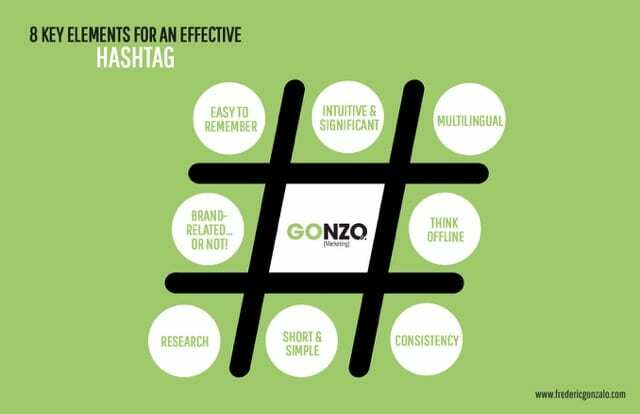 But having a compelling hashtag is a key component that should not be under-estimated.So here are eight important elements to consider when you are about to choose a hashtag or launch a campaign centered around one. While this may be rule #1, it is often forgotten. Or perhaps I should clarify: a hashtag should be easy to remember for users, not for the marketing person that came up with it. A good example? Discover Los Angeles launched its campaign highlighting the fact there is something to do every day of the year, it came up with #LA365. To segue from the previous point, a hashtag should be intuitive… for users, first and foremost. When the village resort of Mont-Tremblant, in Canada, wanted to focus on a strong hashtag across its various social networks, it realized users were already using #Tremblant. Thus, it went ahead with this hashtag. 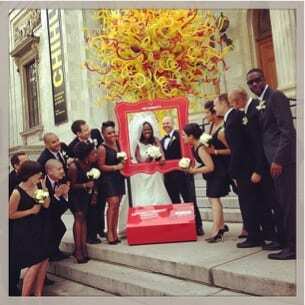 You will also want to make sure the hashtag is significant, meaning it resonates to its target audience. 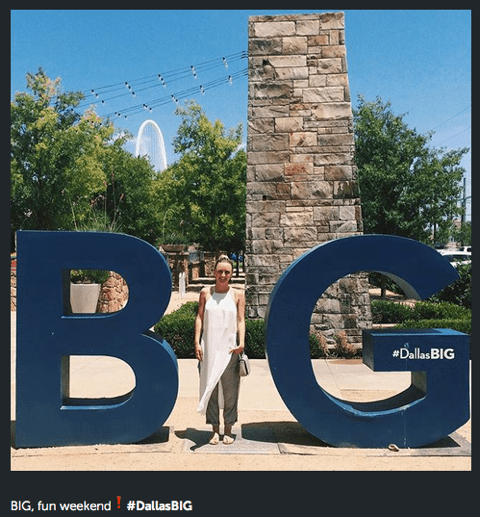 Such is the case, for example, with #DallasBIG, reinforcing the notion and campaign message that everything is big in Dallas (or Texas, for that matter!). Not always an easy task to cater to different languages, but as a born and raised Montrealer in the French-speaking province of Quebec, I know how important it is for brands to appeal to as many travelers in their native language as possible. That was the thinking behind #QuebecOriginal to promote the destination, with a hashtag that works as well in French or in English (or even in Spanish). Here’s another trap we marketers tend to fall into: we always want to make it about us, with reference to our brand. Me, me, me, me! Of course, having a hashtag relating to the brand name should help enhance its awareness, but must we include the whole DMO or hotel name, for example? Not necessarily. 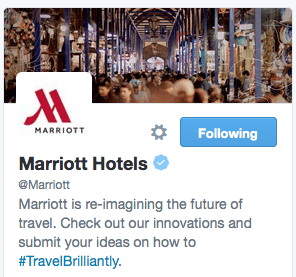 Many destinations will infer their name subtly, like #AlwaysSF (in San Francisco) or #MTLmoments (in Montreal), but Marriott Hotels launched a successful campaign around the #TravelBrilliantly hashtag, and continues to spread it across its various social accounts. Even if you came up with the best, most intuitive and easy to remember hashtag, not everybody thinks the same way online or offline, in particular across different cultures and languages. It is therefore important to help travelers discover and use your hashtag, rather than leaving them on their own. This can mean including your campaign hashtag on destination brochures, at the reception desk, in the elevator or on table tents, on interactive walls during festivals and events or even at photographic hot spots across town. This is what Tourisme Montréal has been doing since 2013 with its #MTLmoments initiative, placing red frames across the city in popular spots, now boasting more than 200,000 media tagged on Instagram alone! Before launching a campaign and placing all your bets on what seems like a winning hashtag, please do some research to see if your stroke of genius did not occur already in the past. Perhaps many times, and by many users… and sometimes in a context that could be harmful to your brand! How do you know if a hashtag is already being used? Simply try it in the search box in Twitter or on Instagram and see what comes up? There are more sophisticated tools that can allow you to go back in time to see mentions around a keyword, but a simple search usually will do the trick. This is a rule of thumb that remains valid across pretty much all social networks, but even more so when it comes to hashtags. Less is more, folks. Some scientific (ahem!) research published on AdWeek in 2014 said the ideal length of hashtag was 6 characters, but in my experience anywhere between 6 and 15 characters is a valid range. More than that, well, is just not user-friendly in particular on Twitter where we have that 140 characters limit, not to mention if you want to be retweeted. Last but not least, it can be tempting to come up with subtle variations according to seasons, or perhaps niche products or audiences, yet it usually pays to stick with a strong, consistent hashtag. Just like a brand should stick to a strong tagline or signature, travels brands ought to find the right hashtag and run with it consistently through time. This doesn’t mean a destination won’t want to run individual campaigns with #restaurantweek or #operafestival for example, but ideally this will take place concurrently with the destination, hotel or attraction core hashtag as well. What are some of your best (or worst) experiences with hashtags in the travel sphere? TBEX NOTE: Come see Frederic speak at TBEX North America 2015 in Ft. Lauderdale. His session title is: Why Travel Brands Must Embrace Visual Storytelling. Author bio: Frederic Gonzalo is passionate about marketing and communications, with over 19 years of experience in the travel and tourism sphere. Early 2012, he launched Gonzo Marketing and works as a strategic marketing consultant, professional speaker and trainer in the use of new technologies (web, social media, mobile). He writes a regular column on etourism for TourismExpress and PAX News magazine, and collaborates to influential sites such as Social Media Today, Business2Community, Skift, Tnooz and ehotelier. He was ranked most influential blogger for etourism and travel in the province of Quebec (Canada) and among most influential bloggers for marketing & social media in Canada in both 2013 and 2014. From 2008 to end of 2011, Frederic was Vice-President, Marketing at Groupe Le Massif. He spearheaded Marketing, Sales & Communications for Le Massif de Charlevoix development project, crafting the strategic planning to turn the ski hill of Le Massif into a year-round destination including on-hill accommodations, introducing a touring train between Quebec City and La Malbaie, and the opening of the hotel La Ferme in Baie-Saint-Paul (summer 2012). Between 2005 and 2008, Frederic worked in the loyalty and relationship marketing fields, first at VIA Rail Canada where he was at the forefront of the VIA Preference Program for frequent train travelers. Then, with Fido Rewards, where he worked on the relaunch of this unique loyalty program in the Canadian telecom industry landscape. From 1995 to 2005, Frederic worked at various levels of the hospitality and travel sector, including front line in various Club Med resorts (1995-1998), managing PR & Entertainment at the winter resort of Valle Nevado, Chile (1996-97), sales agent at inbound tour operator Receptour Canada (1999), Sales representative for international markets at Tremblant (1999-2000) and finally managing international market development for VIA Rail Canada (2000-2005).